Happy New Year! I hope you enjoyed a well-deserved break from teaching and from your day job(s)! As we start of the new year, I’d like to invite you to propose a session or panel for the 2019 CCCC MidAtlantic Summer Conference<http://cccc.digitalodu.com/> at Old Dominion University. The conference theme is Attending to Transfer: Programs, Pedagogies, and the Complex Writing Lives of Students<http://cccc.digitalodu.com/cfp/>. Additional conference details appear below. While I recognize at first blush this opportunity appears to apply only to writing teachers, I believe there are many opportunities for SPCS adjunct faculty, and possibly students as well, to propose to this conference. Most of our programs and pedagogies include robust writing requirements; as adults and working professionals, nearly all of our students have complex writing lives; and theories of transfer apply in many ways to working professionals who regularly put theories into practice in their workplaces. And we are all about pedagogies that apply to nontraditional students, many who need to apply theories toward promotion or career advancement. The conference is nearby in Norfolk and charges only $10 for registration fees to graduate students and adjuncts who are members of CCCC and NTCE; NCTE membership<https://secure.ncte.org/join/> with the CCCC add-on costs as little as $65/year for adjuncts, less for students. Membership and registration fees can be covered by the $100/year professional development funds<https://spcs.richmond.edu/document/facstaff/prodev_form.pdf> available to SPCS adjuncts. You can even relive your college glory days by staying in the dorm for $40/night, although you could also simply drive down and back each day of the conference. I am a PhD candidate in English at ODU. The local coordinator, Daniel Richards, is my dissertation director, and as a technical communication scholar, he would be keenly interested in exploring ways that students transfer knowledge into workplace practice through writing. If you’d like more information about the conference or about theories of transfer, or if you’d like assistance in drafting a proposal, I’d be happy to provide support and advice. I can also do so for students, if that’s useful. I advocate using conference attendance and presentations as professional development. I’ve become a much better scholar and teacher as a result of networking with colleagues at conferences like this. I also think it’s great practice for our upper level undergraduate and graduate students to submit proposals for poster sessions and panel presentations — it helps them work through and clearly communicate the complex ideas they are addressing. The Department of English at Old Dominion University invites proposals for “Attending to Transfer: Programs, Pedagogies, and the Complex Writing Lives of Students<http://r20.rs6.net/tn.jsp?f=001bGxcmQcNnhKnBae1qylHMhL7ZO5UpOTusLtxMWbIq9f0l_r09qjmdG6-WXXEWbZJmvttaX5yczINjcLe337SLtOXP9o34qPoYmzG6FXWjRNOH5MLPUY-IEdpL3iLovmPfSJSvREt7OHIeWfCerNeviqg6ciAwus0&c=lO-gVb5EYipB6YQYHH1I4QNB_0QnKKEtO5txMB3Dip1lcBUQFsqJQA==&ch=PCZb-KWHvZCpjdeO4t12tNpVdmqlygcX4QagcQKOAn3EWr_Jm3fgLg==>,” a CCCC Summer Conference we’re hosting on our accessible, vibrant, urban campus located along the southern reaches of Chesapeake Bay right in the heart of the historical Tidewater region. Please consider proposing an individual presentation, a panel, a workshop, or a working project for the Feedback Forum. We aspire to accommodate all proposers on the program within the cozy constraints of a small conference format (approximately 150 attendees). Attendees must be members of CCCC before registering for the conference. 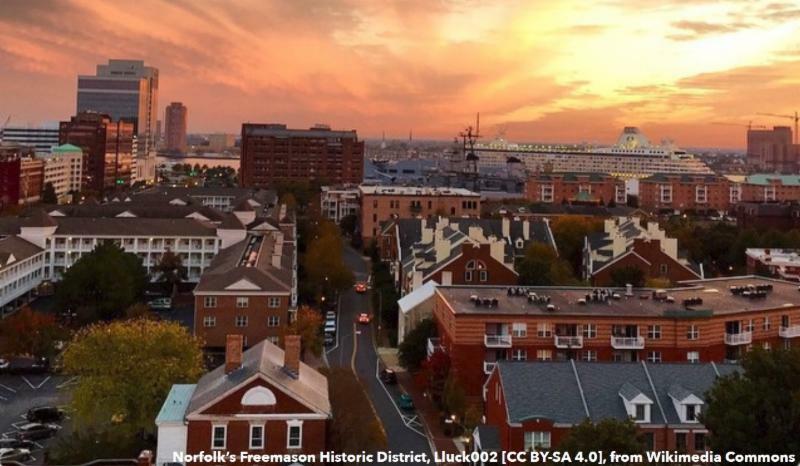 For more information about the conference details and its accessibility, including the location, lodging, logistics, and leisures of Norfolk, please visit the conference website<http://r20.rs6.net/tn.jsp?f=001bGxcmQcNnhKnBae1qylHMhL7ZO5UpOTusLtxMWbIq9f0l_r09qjmdG6-WXXEWbZJEGGcp8TiEripyvmcT6EqXrsJg8gsoc1edDR6Q7IRJXQIC7QN2CfDX0bg2DySc8Yn4qbusxpUg6PO7Lue2sNwNA==&c=lO-gVb5EYipB6YQYHH1I4QNB_0QnKKEtO5txMB3Dip1lcBUQFsqJQA==&ch=PCZb-KWHvZCpjdeO4t12tNpVdmqlygcX4QagcQKOAn3EWr_Jm3fgLg==>.